Happy Wednesday! We’ve made it halfway through the week! 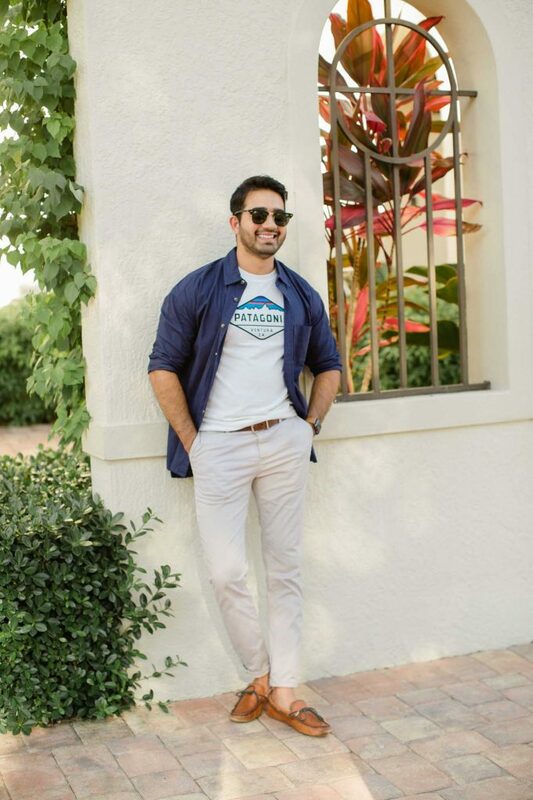 I’ve got my eyes on the weekend, since Armaan and I will be heading to Palm Beach for a few days for a little ‘staycation’! Palm Beach has been on our travel list forever, so we are very excited to spend the weekend there exploring. I’ve gotten some great recommendations from a few girls who have emailed me, as well as my researching, so I can’t wait to share everything about where we stayed, ate and loved when we get back. You best believe I will be indulging in some Miami Vices! 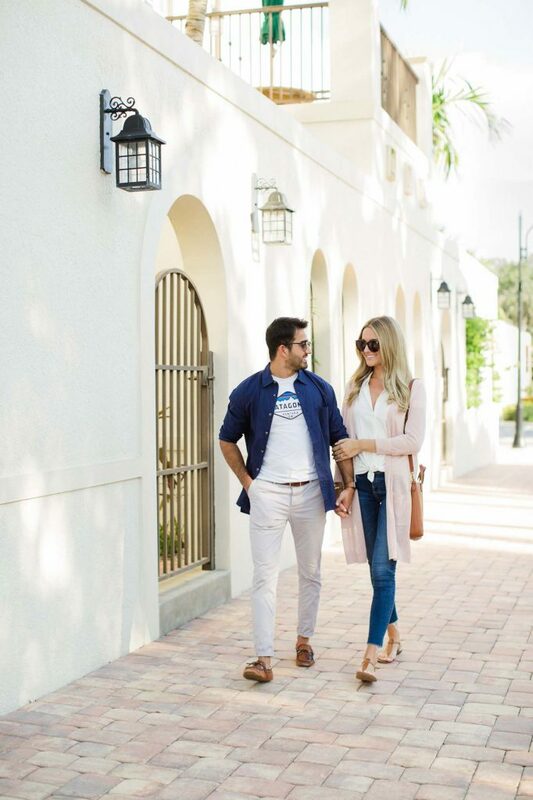 Now on to this casual date night look and a little bit about Armaan and I! I’ve gotten so many questions asking about Armaan and me and how we met! We actually met the first day of college, during orientation. I arrived early to our orientation, and he sat right next to me – he was literally the first person I talked to in college! We had a few classes together, and then in sophomore year we started dating after he invited me to a party. I always give him trouble about how slick he was inviting me to that party over a mass text, haha! The rest is history! Now on to our looks! Last weekend we decided to travel to Naples to try a new restaurant, and through it was the perfect time to bring out some of new our pre-fall pieces. 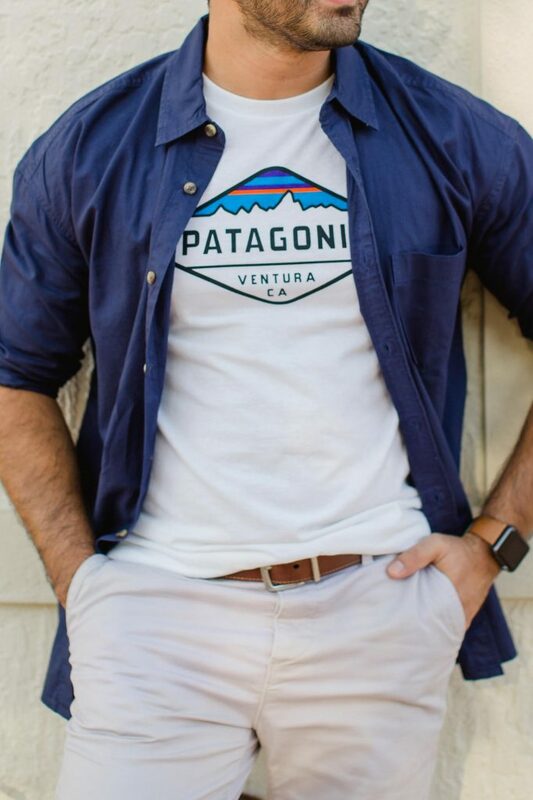 Armaan is a longtime fan of Patagonia, and these easy tees are great for everyday. Nordstrom has a seriously amazing men’s selection, so it’s never hard to get Armaan to find something he loves. 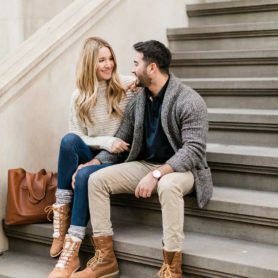 Especially since there are so many brands he knows and loves, Nordstrom makes one stop shopping super easy. Perfect for picky significant others, ha! We both brought layers (though they were short lived in this Florida heat! ), since everywhere is over air conditioned, but he ended up loving this button down he wore over his tee so much, he ordered the other color! 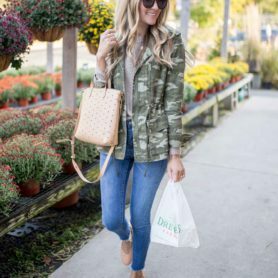 A big thank you to Nordstrom for sponsoring today’s post. All opinions are my own.